New Directions Publishing Corporation, 9780811221757, 272pp. 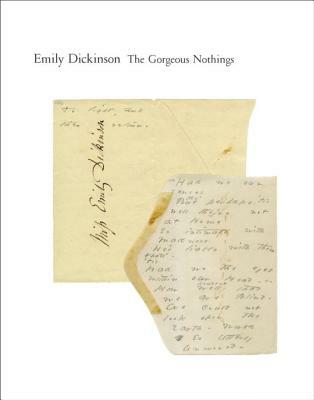 The Gorgeous Nothings -- the first full-color facsimile edition of Emily Dickinson's manuscripts ever to appear -- is a deluxe edition of her late writings, presenting this crucially important, experimental late work exactly as she wrote it on scraps of envelopes. A never-before-possible glimpse into the process of one of our most important poets.The book presents all the envelope writings -- 52 -- reproduced life-size in full color both front and back, with an accompanying transcription to aid in the reading, allowing us to enjoy this little-known but important body of Dickinson's writing. Envisioned by the artist Jen Bervin and made possible by the extensive research of the Dickinson scholar Marta L. Werner, this book offers a new understanding and appreciation of the genius of Emily Dickinson.